Every society is characterized by a certain diversity. The first distinction is in gender, female or male. But that’s not the way to describe all people. Adults, children, the elderly, people with different occupations, experiences, interests and backgrounds, they all belong to the society. No one is alike and that makes Europe a continent of diversity. The refugee crisis, the stream of refugees, the wave of refugees is currently contributing to this diversity. These are all terms which we encounter in press, political discussions and social discourse. All of the above words point to difficulties and problems. Especially the term ‘refugee wave’ associates the image of a natural catastrophe that targets Europe and it’s impossible to do anything. This association happens not only in Germany, but also in Europe. In many cases, opinions about this topic are negative and in discussions in social networks these are distributed happily. These views are supported by current violent incidents and led to also violent riots during demonstrations of right- and left-wing groups in Chemnitz. However, these negative associations do not fully describe the situation by only focusing on the negative or threatening aspects and not looking at the positives. Despite many possible conflicts, companies and society can benefit from the refugee crisis. Among other thing, this means for example, that immigration could be a way to reduce the declining number of workers. That such an integration is not always easy and smooth, should be known by all involved. Every company knows the challenges that can arise when it comes to team building, even if it’s a homogeneous group with same opinions, same skills and the same background. For this reason and also the timeliness of this topic, I have chosen this subject. The aim of my work is to show companies a first measure of how to not only successfully implement the integration of refugees and thus create more openness and tolerance, but also create a basis for the future use of diversity management. At the beginning of my essay I’m going to comment on theoretical principles relating to the topic ‘Diversity Management’. This includes a short definition of the concept as well as a part on the reasons why to apply it. The completion of this point is a summary of the goals of Diversity Management. The third point discusses the topic of the current refugee crisis. I’m going to start with a definition of a refugee and a migrant and show the difference between these two terms. In the next sub-points, I’m going to explicate the refugee crisis and the immigration policy in Europe. In addition, I’m going to interpret in more detail this policy in France, Germany and Norway. I’m going to complete this chapter with the different protection status of asylum seekers. The fourth point is going to discuss the main topic of my essay, measures to integrate refugees into the job market. For that purpose, I’m going to discuss supportive actions like school education, apprenticeship and language courses as well as measures of the Diversity Management for integration in companies. At the end of the chapter I’m going to show the various advantages of these methods. The last chapter includes a conclusion, which states the most important statements of my essay and gives a short assessment of the future. Diversity Management originally started in 1960 in the USA as a socio-political movement, a combination of women’s rights movement and civil rights movement. In Germany, this concept counts as a form of social policy for the strengthening of minorities for a long time. 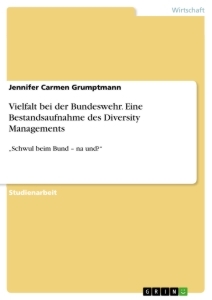 In December 2006, the Charter of Diversity was launched in Germany. With the increasing globalization and number of employees of other cultures, the change also started in Germany. The Charter of Diversity is an agreement to a work environment free of any preconceptions, which is being carried out by 2700 companies since 2007. This agreement tolerates the individual diversity of every employee and also highlights them in the sense of a positive appreciation and tries to make them useful for the company’s success. Diversity Management takes this aspect and uses it as a part of the human resources management. Its rationale is primarily to improve the organisational competitiveness and efficiency, driven by business purpose and market advantages. In relation to this it emphasises the necessity of recognising individual differences between groups of employees and making practical allowances for such differences in the organisational policies. The idea is that building an environment of individual diversity where people’s differences are valued lets people work to their full potential in a richer, more creative and more productive work environment. The mentioned ‘differences’ of the employees could be external characteristics like disability, ethnicity or even gender and age, but also by subjective differences like religion or sexual orientation. While the function of diversity management for a long time has been to prevent discrimination based on the special qualities of the employees and to create equal opportunities for everybody, in the last years it has become an instrument that helps to emphasize the cultural backgrounds and practical experiences and uses these for the company’s success. Diversity Management is separated in four levels which include different personal characteristics. The first level is the personality of every individual. After that comes the inner dimension with unchangeable features like age, gender, sexual orientation, physical skills, ethnicity and religion. The third level consists of the exterior dimension. It includes things like income, habits, free time activity, education, work experience, behaviour, parenthood and family status. The last dimension is an organizational one and contains features related to the company. These could be the function or job grading, job content or field of work, the department in which someone works, the duration of affiliation, place of work and management status. 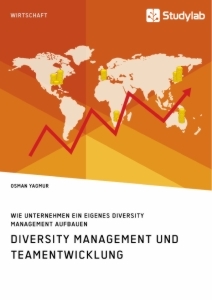 In recent years, Diversity Management has not only become more attractive to companies due to its various benefits but the need to apply this concept has also increased significantly. One reason is the demographic change. Since 1990, the mortality rate is higher than the birth rate. As a result, the population is shrinking and getting older as before. If this change continues, the total population in Germany will sink by almost 5 million people in year 2030. In contrast, the age group of 65 and older will increase by 5 million. This leads to a lack of qualified employees because there are not enough young people to replace skilled workers. There will be particular difficulties in the MINT-jobs (maths, information technology, natural science, technique). In addition, less workers need to provide more pensioners. In 1970, 100 persons with age 20 to 65 had to supply 25 retirees, in year 2030 there will be more than 50 pensioners for 100 workers. 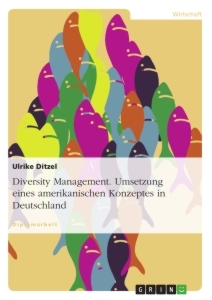 Another reason for using Diversity Management is the growth of cultural diversity, general processes in globalization, international activities of German companies and the growth of agility of the population. This intensifies the economic, cultural, religious and political exchange between different states and regions. This also makes the labour migration of foreigners much easier. Because of the high unemployment in countries like Spain, Greece or Portugal, many young and qualified people move to countries with better work opportunities. This could be helpful to reduce the mentioned lack of employees in different companies. The fundamental goal of Diversity Management is to improve the corporate culture for all involved people. The concept wants to create a productive atmosphere for everybody in the company, to prevent social discrimination and to establish equal opportunities. The focus of the concept is not on the minority, but on all employees with all their differences and similarities which should be used for company’s success. In course of this, the implementation of diversity management means ‘[…] Schaffung von Arbeitsbedingungen unter denen alle Beschäftigten ihre Leistungsfähigkeit und -bereitschaft entwickeln und entfalten können, unabhängig von ihren personen- und verhaltensimmanenten Merkmalen “und somit einen verantwortungsvollen Umgang mit den Unterschiedlichkeiten. ‘ The implementation depends on the individual corporate culture, the target and the core business of the company. Thereafter, three different approaches can be distinguished. First, the discrimination and fairness approach. All employees should receive an equal treatment and equal opportunities. This approach is widespread for example in the USA, but also in many debates in Germany about specific rates of women in directorates in German companies. Second, the approach to access and legitimacy. Basis for this one are economic considerations. That means for example that a company employs dark skinned sellers because its customers are also black. Third and last one is the integrative approach. It combines the first and second strategy. The economic mindset and the desire to treat all employees fairly form the integration. To establish a true corporate culture, this approach is the best. Various reasons lead to people leave their homeland and come to Germany. The international law differentiates between refugees who have been forced to flee due to external influences such as war or persecution, and migrants who left their centre of life on their own initiative to find better living conditions abroad. However, it’s not possible to differentiate both groups clearly. According to the Convention Relating to the Status of Refugees, refugees are people who have left their homeland because of their fear of persecution because of their race, religion, nationality, belonging to a special social group or because of their political conviction. In the national asylum procedures, which are different in every state, is determined if the asylum seekers are treated by governmental prosecution. On the other hand, migrants are people who left their home country voluntarily and expect better living conditions in another country. Important reasons for migration are political crises and armed conflicts. Therefore, migrants can be poverty, economic or climate ‘refugees’. ‘Persons with a migration background’ include persons who are born abroad or whose parents or ancestors come from a foreign country and immigrated since 1950. According to the Federal Agency for Civic Education, around 17.1 million migrants lived in Germany in the year 2015, 20.3 percent of the whole population. Migrants can prepare themselves for the specific cultural and linguistic requirements because they didn’t have to flee suddenly. 68.5 million people were on the run by the end of 2017. This is the highest number ever listed by the UN refugee agency. On average, every two seconds someone in the world is forced to flee. One of 110 people worldwide is affected by flight or banishment. 52 percent of refugees worldwide are children. In year 2016, 5096 people died during their flight over the Mediterranean Sea. In the last years, Europe experienced the biggest arrival of refugees since Second World War. More than one million refugees and migrants arrived in the European Union. They leave their country of origin because of economic and political constraints like in Syria and Lybia, violent conflicts like war or natural and environmental disasters. Most refugees are from Syria (6.3 mio), Afghanistan (2.6 mio) and South Sudan (2.4 mio). Biggest admission countries are Turkey (3.5 mio), Pakistan and Uganda (both 1.4 mio). Germany is on sixth place with 970.400 refugees in 2016. A substitute for the non-existent protection of their home countries is the Convention Relating to the Status of Refugees, also known as 1951 Refugee Convention. It is international law and the base for the global refugee protection. The Refugee Convention states who is a refugee and what kind of judicial protection, help and social rights she or he should get. But it also defines responsibilities which a refugee has to fulfil and excludes specific groups like war criminals from refugee status. Currently, a lot of refugees travel to Europe to escape the dangerous situations in their countries of origin. This flight has specific reasons. One of the most significant causes are insecure states like Syria and Lybia. The regime of Assad in Syria and the continuing civil war in Lybia let people leave their homes. They sell their flats and stores to people who stay to get money for the upcoming flight. In Lybia the Mediterranean Coast and borders in the south are not controlled anymore. Militia gains a lot of money with smuggling people from the African continent to other safer countries. In addition, neighbouring states of dangerous countries are not able to take more refugees, they don´t have any more capacity. These states are totally overstrained with more than 600.000 arrivals and take only a restricted amount of people. This leads to permeable borders and a lot of immigrants taking the chance and starting one more trip, to Europe. And even when the refugees find protection in one of the neighbouring states, often there is no legal way to the job market and many people fight for the daily survival. Limited education offers no perspective and leads to more problems. Even if the children would have the possibility to go to school, most of them have to support their family. One more reason for the many arrivals in Europe is the so-called ‘German suction effect’. When Angela Merkel pronounced, refugees from Syria will not deported to other European states, many people wanted to take their chance of a new life. With the help of social media, the message spread very fast to different countries. Thereupon not only Syrian started their way to Europe, also citizens of other states like Near and Middle East and North Africa wanted to utilize the situation. In 2016, Germany is the first time under the Top Ten of receiving countries. In this year, more asylum applications were requested as in all other European States together, with a total of 722.370 applications. Currently, in year 2018 from January till now approximately 99.000 requests were applied. Despite this high number, these arrivals represent only a small portion of the number of fleeing people worldwide. Most of these find refuge in the southern countries. Lebanon has received one to two million Syrians in the last years, this is one-fifth of the population. For example, Germany has to take more than 20 million people to get a rate like that. The Convention Relating to the Status of Refugees, also called 1951 Refugee Convention, was determined on 28th of July, 1951 and entered into force on 22th April 1954. All in all, 143 states joined the convention. It defines who is a refugee and which judicial protection, help and social rights she or he is entitled to. The convention also specifies responsibilities which a refugee has to fulfil and excludes specific groups like war criminals from the refugee status. First, the Convention should only protect European refugees right after the Second World War. When the problem of expulsion reached a global dimension, the agreement was expanded to also safe refugees from countries all over the world. The begin of saving activities was the ‚mass inflow directive’, which was determined in year 2001. This agreement includes a collective procedure for all members to concede temporarily protection in cases of mass inflow. It also contains regulations for the general living conditions of asylum seekers like lodging, catering, access to job markets, medical supply and school education. Nevertheless, there are different conditions for acceptance in the European states. In year 2013, the agreement was reworked and updated to the Dublin III Regulation. This regulation states that asylum seekers, who travel to other member states, could be led back to the responsible member state in which he arrived, if it is possible to prove the previous stay. The Dublin III Regulation gets support by the EURODAC, an automatic system to identify fingerprints. It is a central data base in which dabs of refugees and illegal aliens get saved and can be requested. With the help of this system, authorities will be able to determine if a person applied for an asylum agreement before in another member state. A common European refugee policy doesn’t exist. There is only cooperation between the member states in compartmentalization but not in admission. The Dublin III Regulation stresses the states with European external borders. To relieve Greece and Italy, the European Union determined a relocation plan. 160.000 refugees should be distributed to other states in the course of two years. Till May 2017, only 18.865 people were spread to other European states. Some eastern states like Poland and Hungary didn’t take any of the distributed refugees. This is the result of the deal between the European Union and Turkey. Thereby, also the Aegean route, a much safer and shorter way to Europe, was nearly closed. On the central route through the Mediterranean Sea approximately every 41th refugee died. The flight to Europe gets more and more dangerous to life and it is not expected that this situation will become better. Since May 2017 other 1.300 people drowned on their way to Europe. For a more detailed insight into the policies in Europe, I’m going to give a short overview about three various states, France, Germany and Norway. Since the second half of the 19th century France is a country of immigration. With the end of the labor migration in year 1974, the image of migrants changed. They weren’t only noticed as temporary employees anymore but more as citizens of the country. In the 1980’s, an extensive immigration policy was introduced in France. Today, the legal situation for migrants and refugees is more complex. The law of 24th July 2006 obligates to sign a contract for admission and integration from first January 2007 on. This contract includes an education in civics, a language course and a conclusion of occupational skills. Furthermore, the contract also includes a duty for all parents to support the integration of their children as much as they can. If the parents don’t follow this term the payment of child allowance will be paused. Because of the high unemployment rate and continuing problems with the integration of Muslim immigrants from past French colonies, France was against a refugee rate. In year 2017, president Emmanuel Macron stated that all foreigners who committed a criminal act, get deported. France is for many people a transit country on their way to England. Because of the high unemployment rate of ten percent many refugees use the country to journey through. This leads to a smaller amount of asylum seekers in contrast to other European states. The ways in which migrants and refugees are understood and presented are highly significant for immigration policy in France. In contrast to Britain and the Netherlands, where immigrants and their children have been referred to as ‘ethnic minorities’, or in Germany, where immigrants have been defined mostly based on their national origin such as ‘Turks’, in France it is a preference not to speak about immigrant minorities at all because it would conflict the idea of the ‘one and indivisible’ French Republic. However, France became interested in labor migration. With the establishment of a four-years residence status, between the one-year residence permit ‘carte de séjour’ and the ten-years residence permit ‘carte de résident’, France wanted to increase the attractiveness for labor migrants. In addition, there is the so-called ‘passeport talent’, a combination of residence statuses for scientist, artists, students or qualified emloyees. Germany practices a different policy. Until 1990, the Federal Republic of Germany was no immigration country. The change in the social and political awareness was initiated by economic and demographic transformations within the population, like a lack of employees especially of high qualified workers. This led to the first approach of an immigration act combined by the admission and liberality law. With that approach foreigners, students and qualified employees could get a residence permit for employment. In contrast to other classic immigration countries like USA, Australia or Canada, the German ‘immigration law’ was not designed to basically open the state for migrants. Especially the labor immigration is welcome because of needs at the job market.